For almost two years we have heard little more than passing statements and speculation about the U.S. Army’s Africa Command (AFRICOM) adopting the “human terrain” concept or deploying human terrain teams in Africa, even if individuals in the Human Terrain System seemed relatively confident this would happen (particularly, Montgomery McFate on the Charlie Rose show in December of 2007, and Christopher A. King, in person in May of 2008). On this and a related site, I previously spoke about AFRICOM in “AFRICOM, Human Terrain, Empire, and Anthropology,” “Resisting AfriCOM: The U.S. Military’s Imperial Reoccupation of Africa,” “The ‘Culture’ Virus: The Human Terrain System spreads to Africa, Latin America, and the Caribbean,” and, “Human Terrain System spreads to Africa: ‘Oil and Terrorism’.” Another post, “AfriCOM: Africa, U.S. Imperialism, and Resistance,” that featured efforts to resist AFRICOM, received the visits and comments from a very pleasant Doug Brooks, on behalf of an international association of mercenaries known as the International Peace Operations Association, which also includes Audrey Roberts, a HTS employee, on its staff (see “Mercenary Humanism”). The question here is whether HTS will in fact play the role in AFRICOM that has been anticipated, given the development of an AFRICOM Social Science Research Center that is not in its hands, and the proposed formation of new research teams (SCRATs) that abide by ethical standards and promise to uphold academic integrity, showing a greater political reflexivity than HTS ever has. Another Time Line: HTS in AFRICOM? 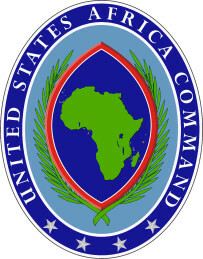 On 16 May 2008, the U.S. House Armed Services Committee in its report stated its support for AFRICOM implementing Human Terrain Teams: “The committee encourages the Department to begin training, equipping, deploying, and sustaining human terrain teams with other regional combatant commands to include at least one each for Pacific Command, Southern Command, and Africa Command” (p. 475). HTTs were then described by the HASC as “critical enablers to shaping military planning in pre-conflict environments, and are supportive of reconstruction and stabilization efforts” (p. 475). It seemed clear then that HTS would try to maneuver its way into AFRICOM. As Hodge reported, “Fondacaro has visited AFRICOM as a preliminary step towards setting up human terrain teams there.” However, as he noted, “the AFRICOM job description is for a ‘socio-cultural cell,’ not a human terrain team. Is there some re-branding at work here? Or might the two projects work side-by-side?” Since HTS has already lost its monopoly on “human terrain” research, within the U.S. Army itself, what we now know is that more than just rebranding is involved. In a 29 July 2009 job ad from BAE Systems, “AFRICOM Mid-Level Human Terrain Analyst,” we see a call for people with “expertise in research, and knowledge of empirical research within the theoretical concepts in academia (behavioral psychology, social psychology, sociology, cultural anthropology, social geography, history, economics, and political science)” and “expert level knowledge in geospacial analytical tools and methods, and social networking models.” The location would be AFRICOM’s headquarters in Stuttgart, Germany. The U.S. Army’s 4th Psychological Operations Group seeks regional specialists in African studies with graduate-level knowledge of the political, social, cultural, economic and/or communications environment. Four temporary positions are now open at the IA-Band 3 level. The beginning salary for the positions is $59,158. These are two-year temporary positions. A successful candidate must have strong reading and listening comprehension skills in a language directly associated with their area of studies; be able to conduct social science or intelligence-related research and analysis; be able to write high quality studies and assessments in English at the MA level or higher, using a broad range of data and sources. Research experience in North Africa, East Africa/Horn of Africa, Central Africa, or West Africa is desirable. The position requires travel within the U.S. and abroad. Ability to work closely with U.S. and possibly foreign military personnel is essential, but military experience is not required. Must be a U.S. citizen and be able to obtain and keep at least a SECRET level security clearance. The position closes on 17 June 2010. The latter is neither explicitly connected with HTS, nor does it mention AFRICOM, but I include it since it shows the multiplication of programs that effectively do the same thing: incorporating academics to do research in Africa for the Pentagon. That is the most important detail, and of greatest relevance to us, rather than the particular unit involved. This is part of a radical expansion of the U.S.’ clandestine military activity. As noted here recently, this does not necessarily imply involvement by HTS as such, seeing that the U.S. Army has expanded and in some ways duplicated the implementation of “human terrain” programs in its fold. In the last three weeks I received two unclassified documents prepared by Dr. Christopher Varhola, the Director of the Social Science Research Center at AFRICOM. One is a short “information paper,” titled “U.S. Africa Command Intelligence and Knowledge Development Social Science Research Center (SSRC).” The second paper, a draft plan circulated to invite commentary, is titled “Guiding Principles and Operating Procedures U.S. Africa Command Social Science Research Center.” If it was meant as a sub-media campaign, it has been limited to academic email networks, and one article in Wired’s Danger Room. Varhola describes AFRICOM’s Social Science Research Center as “a seven-person core element located in Stuttgart,” which will deploy “a Socio-Cultural Research and Advisory Team (SCRAT) that will operate with the explicit approval of the country team in the countries to be visited.” While he speaks of the approval of the “country team” in place in a given African nation, he does not indicate how, or if, a SCRAT goes about gaining the permission and approval of an African nation in order to conduct its work. SCRATs appear to be AFRICOM’s version of Human Terrain Teams (HTTs), and a SCRAT also comprises one to five members. There is no indication, in either document, of whether SCRAT members would all be social scientists or not, a point on which the documents remain vague—in the second document: “A SCRAT is composed of individuals with a variety of skill sets. The specific composition of a SCRAT is determined by the SSRC to best address problem-driven research.” A SCRAT’s work consists of providing “socio-cultural advice in support of DoD activities, to include exercises, humanitarian civic action, and interaction with security forces.” Left ambiguous here is what those Pentagon “activities” are, what is meant by “exercises,” and what is the nature of the “interaction” with “security forces” (what kind? U.S. forces? Local forces? Paramilitary groups? Hired soldiers of fortune?). There is an indication that research produced by SCRATs will be presented at conferences, and submitted to scholarly journals for publication, as well as through in-house publications. If and when that happens, it will be interesting to see how academic specialists working in Africa, without any ties to the military, perceive, evaluate, and react to the research produced by their military-affiliated colleagues. It will also be important to learn if those without military ties, are suspected of having them nonetheless by local communities that have been previously visited by a SCRAT. There is no discussion as to why SCRATs are to be deployed, even when the draft repeatedly acknowledges the presence of local researchers. 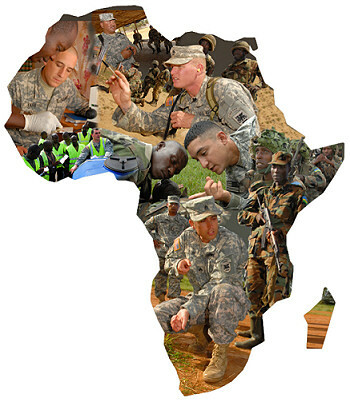 In addition, given the many social scientists doing research in Africa, independent of the military, it is not clear why AFRICOM needs to have its own social science teams, and how the knowledge they produce is expected to be different—and it must be different, or else this draft is a plea for wasting taxpayer funds on redundant activities. Why is current academic research not good enough? What is AFRICOM really looking for? There is no mention of a training program, so that unlike HTS, it seems that AFRICOM’s SSRC intends to hire only fully qualified individuals. There is also no mention of a “reach back center,” like HTS has, other than the SSRC headquarters in Stuttgart itself. Varhola promises that “SSRC and SCRAT identify their highest priority as conducting research in a manner consistent with ‘do no harm’,” and that “to the best of our abilities we will conduct our research in accordance with the guidelines of the Universal Declaration of Human Rights of 1948, the National Research Act, and the Ethical Principles and Guidelines for the Protection of Subjects set forth in the Belmont Report.” Researchers will not be required to act in a manner that is contrary to the SSRC’s Code of Ethics. Again, there is some ambiguity here, as there necessarily must be whenever academic research is tied to a military institution inserting itself into a zone of acute conflict, as one of the interested parties. SCRATs are not “actively” involved in countering “violent extremism” (the Obama administration’s preference for this over “war on terror” is in evidence here), which means they can be “passively” or indirectly involved, and this could well be perceived by local actors. What happens then? If local researchers or a local community protest the presence of a SCRAT, and its ties to a U.S. military mission, will the SCRAT leave? The document does not raise, and thus does not answer, such questions. Post-Traumatic Revision or a Soft Sell? It would seem indisputable that the proposals for SCRATs working under AFRICOM are very mindful of the public controversies and raging debates surrounding HTS, and that AFRICOM does not wish to repeat the same mistakes. These documents were drafted in a context of debate with one or more members of the Network of Concerned Anthropologists, on the assumption that research that was completely transparent, not linked to the “war on terror,” nor designed to do harm, would not meet with their active disapproval or condemnation—as I say, that has been his stated assumption. Rather than dismiss all concerns, AFRICOM’s Varhola seems prepared to raise them and address any new ones posed to him. These documents are deliberately circulated by him, not simply to “make news,” but to request input. Feel free to write to him at Christopher.varhola@africom.mil. I say not simply to make news, rather than dismissing that aspect altogether—Varhola’s approach, contrasted to that of McFate, is the more academically-sensitive, low key approach, going as far as calling for feedback. What he will do with such feedback is open to question. He has not been sympathetic to the works of Catherine Lutz or David Vine, and his own position seems to take the military, and militarization, as a permanent given, not one to be condemned, and not open to what has been a classical mainstay of anthropology, in fact: imagining alternative social orders on the basis of lessons learned from very different societies. There are, on the surface, some striking differences between AFRICOM’s SSRC and HTS. For one, there is no great public propaganda campaign for the SSRC, as mentioned. Varhola is not parading himself as the social sciences’ new public star—he is not photographed wearing big hats, or detailing the troubles of growing up as a teen. There is no attempt to target anthropology as the premiere discipline of choice for the kind of work to be done by SCRATs, although it is quite clear that it is implied, and he maintains an active interest in military anthropology. On the whole, SCRATs seem to be designed to have a lighter footprint—not directly connected to war and counterinsurgency, there is no talk about housing SCRATs on military bases, or having them do their research in battle gear in the company of a heavily armed military patrol. The documents do not say that can never happen, however. These documents seem to be far more concerned about ethics than anything produced by HTS. Indeed, they have at least a rudimentary Code of Ethics, and a promise of ethical review. A lawyer will be on a panel that oversees plans for research. Academic integrity appears to be a paramount concern. Again, for those of us immersed in HTS debates for the past few years, this has a sound of being different, at the very least, an overtly cautious modification. HTS also promised open access research products—and indeed, we have had at least a couple of papers circulate (included in this site’s document box)—and we will have to see if SSRC does better in keeping the promise. A few notes about the SSRC’s director. Lieutenant Colonel Christopher Varhola, U.S. Army, was a civil affairs reservist, and is a cultural anthropologist, having earned a Ph.D. in anthropology from the Catholic University of America in 2007. He is a Commander in the 457th Civil Affairs Battalion, based in Kaiserslautern, Germany. His main applied interests in anthropology have been in cultural heritage protection, with experience in Iraq. He has been stationed in different parts of the Middle East for over six years, with postings in Jordan, Kuwait, Saudi Arabia, and Iraq. 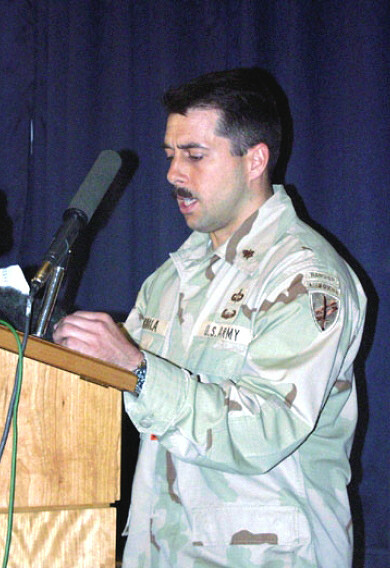 In 1991, in the Gulf War, he was a tank platoon leader with the 2nd Armored Cavalry Regiment. He was also in the U.S. occupation of Iraq after 2003, in the 352nd Civil Affairs Battalion. Varhola has spoken out against U.S. abuses in Iraq, on the use of excessive force, and he was the author of a report that detailed American use of collective detentions in Iraq, including the detention of wives and children of suspected “insurgents” to get them to surrender or to talk. A need to be more precise about what SCRATs will actually do, and not just what they will not do, and how they will go about not doing it. Explanation of the military-academic context in which SCRATs will work—where do they fit in, exactly, in an arena increasingly populated with Human Terrain Teams, Human Terrain Analysis Teams, Civil Affairs operatives, Foreign Area Officers, Psychological Operations, Minerva-funded academics, and “warrior diplomats”? Thus, again, what will SCRATs do that is not being done by any of these, and therefore, what is their real, distinctive purpose? Varhola has not yet explained that. If they are conscious of the socio-political implications of their work, as Varhola says they are, and how their activities will be perceived (so perhaps it is best that he not shut himself off from anthropological/activist condemnations prematurely)—then what exactly will they do with this consciousness? Apologize repeatedly? Understand that the validity of the information they gain may be seriously compromised, perhaps even rendered useless, and thus not publish? SCRATs will not be a part of the “war on terror,” and yet AFRICOM is—so how does an AFRICOM-embedded unit distance itself from AFRICOM in order to maintain academic credibility and gain acceptance from local communities? While SCRATs and AFRICOM seem to be where the focus of our debates will go, after HTS, and after Afghanistan, and even after counterinsurgency—all of which are efforts in decline—I am not sure that Varhola will easily succeed in disarming critics. Indeed, in some ways, Varhola brings military anthropology into a far more contentious arena, with many more critical activists than HTS ever had to face. Resistance to AFRICOM, both in Africa, and in the U.S., has been organized and widespread for years now, so that anthropologists critical of AFRICOM find themselves with a new mass of potential allies. We have seen ongoing action from Resist AFRICOM, with several supporting organizations; public education critical of AFRICOM (see these resources as well); the formation of Africa Against AFRICOM; the near universal African rejection of AFRICOM (which is why Varhola’s SSRC is in Stuttgart, and not on the African continent); a great many African-Americans incensed about a militarized approach to African problems; and the prominent activism of actor Danny Glover (“Say No to Africom”; “Actor and Activist Danny Glover & TransAfrica Forum’s Nicole Lee on the U.S. Militarization of Africa and Africom”). Which Hollywood celebrity ever stood up to denounce HTS? Varhola will be working in a political arena that is far larger than HTS ever faced. Opposition to AFRICOM is popular, and in some countries, massively so. Varhola does not address this. His writing on how SCRATs may be perceived is too diplomatic and understated to be adequate. The issue of the militarization of anthropology would thus also get new audiences, and much larger ones. Issues raised by critics of the Minerva Research Initiative, are in most cases just as relevant to debating SCRATs in AFRICOM. How will this newest military foray into academic research, with a new source of funding, alter what research is done and which gains prominence? How will open alignment of academic research with the military, and U.S. foreign policy, affect how all American academics are viewed and received? While Varhola writes a lot about the ethics of the SSRC’s research procedures, this does not go very far. To be fair, it does not go much further with most other academics either, as I raised earlier when speaking of deontological and consequentialist stances. At any rate, compared with HTS, Varhola has done almost infinitely more to address the ethics debate. The debate around the morality and politics of militarization, will continue, with or without Varhola. Nonetheless, it is not likely that the debate will be as straightforward as it was against HTS, an entity whose self-presentation was brash and brazen, emerging in a context where the attitudes of Cheney, Rumsfeld, and Rice, literally ruled. Occupation and counterinsurgency may not be the premiere concepts here. The premiere concepts for critics will likely be those pertaining to penetration, infiltration, and surveillance (oh no, here come the Foucauldians). SCRATs will be deployed in countries where, unlike the case of HTTs, U.S. forces are not leading a military occupation. If HTS returned us to paradigms derived from counterinsurgency in Vietnam, and the use of social scientists in that, AFRICOM is returning us to British colonial anthropology in Africa, in the latter decades of the empire. CORDS, Phoenix, and Camelot may not be as relevant now as revisiting the histories of the International African Institute, the Rhodes-Livingstone Institute, and the work of Seligman, Evans-Pritchard, Fortes, Nadel, Schapera, and others. We may need, given that “academic integrity” and “academic freedom” have been promised to SCRAT members, to revisit the conflicts, contradictions, and (ir)relevance of anthropological work for colonial officials. Fortunately, new research is being done precisely in this area—see this extensive review of Ordering Africa, and the author’s response, which directly addresses HTS debates. A persisting issue will be precisely that of militarization, and of the decisively un-anthropological stance of taking the military for granted as a political institution, removed to some place beyond question, with no alternative social order imaginable, and with the result that all we can do is to accommodate ourselves to that fact. That leaves the door permanently open to war. In the meantime, many tens of thousands of Americans have gone to enjoy their retirement in Costa Rica, a country that abolished its army in 1949, and that since then has not had a civil war, not gone to war, and not been invaded, in a region that has known many military dictatorships, cross border incursions, and civil wars, for decades. Each December 1st, Costa Ricans celebrate Army Abolition Day. How utterly implausible. Indeed, if Americans are incapable of imagining an alternative order, they certainly seem capable of living in one. If debating “military anthropologists” means that such topics are restricted and removed from the agenda, then no, we can have no productive dialogues. They would then become uninteresting and unenlightened interlocutors whose ambition is to merely use us as tools to serve their agendas. Excellent article. I will return later to comment on some of its revealing points. Ishtar, I look forward to your return. An interesting article that I’m still thinking about. I read the two documents you are referring to when they were circulated and, on the whole, I was fairly impressed with them – at least on paper. How that will play out in actual operations, I’m not so sure. A persisting issue will be precisely that of militarization, and of the decisively un-anthropological stance of merely taking the military as given, with no alternative social order imaginable, and with the result that all we can do is to accommodate ourselves to that fact. That leaves the door permanently open to war. I wouldn’t argue that “taking the military as a given” is un-anthropological. I do take your point about alternative social orders, but I think it may be better, at least for us, to distinguish between an activist stance that pushes other social orders and a scientific stance that examines existing social orders and how they are changing. As an illustrative example of the dangers of only examining from an activist stance, I’ll point towards Hugh Gusterson’s 2007 Annual Review article on Anthropology and Militarism where he tends to focus solely on examining the effects of US military activities and not really looking at other groups that are militarized. Oh my god, you read to the very end. You monster! (Notice that I no longer blog spontaneously, and only generate long essays.) Many thanks for going through this. That is bad phrasing on my part–you will probably see an edit eventually. Of course the military is a given, just for being in existence. You and I have discussed some of the other issues before, so I will leave to others to comment if they wish. In the meantime, many thanks for both the visit and the comment. LOL – of course I read to the end, Max . Yes, I would agree that it looks more impressive than the HTS; at least on paper. It seems that a number of the concerns I brought out regarding HTS ethics a couple of years back, at least as a framework, are being addressed. At least, that was the impression I had when I went through the documents a couple of weeks ago. That being said, I guess we’ll just have to wait and see what comes out of it. PS: I meant to mention–I too think it is impressive on paper. This is already a very different animal from HTS, even for what is on paper alone. Varhola has clearly been paying attention to the critics, and thinking about the mistakes made by HTS. Scott Atran is another who has done the same. Neither one is anti-military, and both are critical of HTS’ operations. Even though transparency and the catch phrase “Do No Harm” are finally being appropriately emphasized, I still have great concerns with how the parameters might bend when they come in conflict with AFRICOM’s conduct of “other military operations as directed.” This lies at the HEART of AFRICOM’s mission and what I constantly harp about their minimization of said “other military operations as directed” in broader terms extending far past HTS. More to come – Your friendly neighborhood Advocatus Diaboli for US Africa Command needs to think about this a bit more. Many thanks Roger! Much appreciated.